– Elder, Abba Isaac writes, “No kind of repentance that takes place after the removal of our free will will be a well-spring of joy, nor will it be reckoned for the reward of those who possess it.” How can anyone repent without exercising his own free will? – One may be forced to repent, having fallen in the eyes of others around him, but such repentance has no humility. This is how I understand it. – Do you mean that there is repentance that is not voluntary? – Yes, it is compulsory repentance. I ask you to forgive me for some harm I have caused to you so that I may be spared the consequences, but I have not changed inside. A fiendish person will pretend to have repented, and will proceed cunningly, offering prostrations with feigned kindness, to deceive others. When someone goes to tell his sins to a Spiritual Father merely because he is afraid of going to hell, even this is not true repentance. He’s not repenting for his sins, he’s afraid of going to hell! Notice, for example, what happens when we have an earthquake. You see those who have a good disposition will be moved deeply, they will repent and change their way of life. But the majority of people keep this fear of God only for a short period of time; and when the danger is past, they resume their former sinful life. This is why, when someone told me that there had recently been a very strong earthquake in his hometown, I told him, “It shook you up, but did it really wake you up?” “It woke us up,” he said. Then I said, “Sure, but you’ll go back to sleep again”. 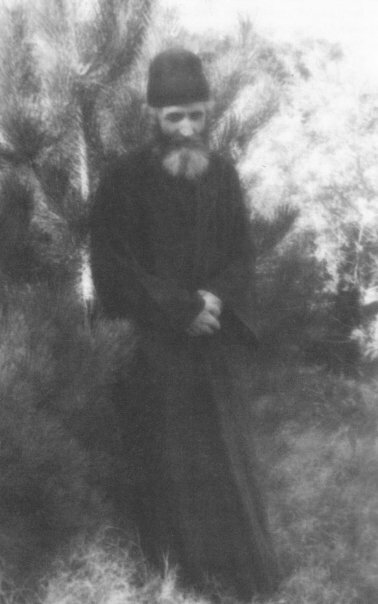 From Elder Paisios of Mount Athos Spiritual Counsels: “Spiritual Struggle” (vol. 3).